Now that we’ve thoroughly enjoyed a cozy winter, the beautiful white snow, Christmas, the carnival and its feasts, it’s time to welcome the coming of spring! This wonderful time of the year puts on its best colors in sunny Greece, since the natural landscape of our fertile country is the best scenery for this unique season to unfold its beauties. 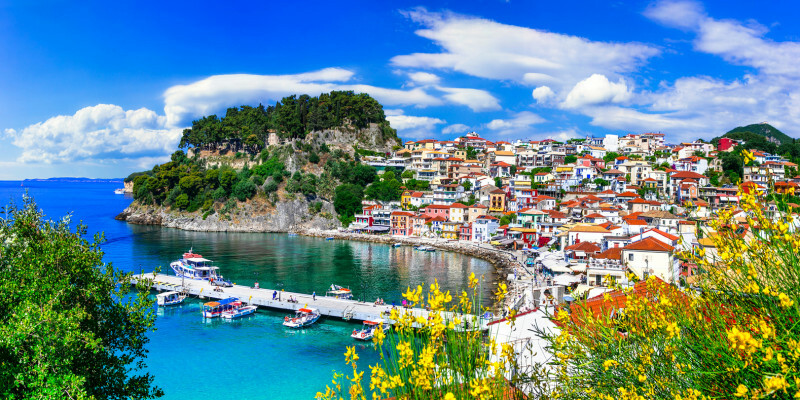 Indeed, spring in Greece offers a multitude of sights waiting for you to discover them. One of the most impressive places to find yourself in Greece, particularly at this time of the year, is hidden up north in the Aegean Sea, in the wondrous island of Lemnos: the unique Ammothines! We’re talking about a small desert in Greece, one of the most unexpected sights you can enjoy in the country and certainly one that will amaze you. With the temperature still not quite warm, it’s the perfect opportunity to enjoy this unique location! We leave the desert behind and head for the country’s wetlands, such as the lagoons of Mesologgi, Thrace or Gialova, hosting countless species of amphibians, fish and mammals! Of course, birds are also common guests of Greece’s wetlands: from ducks and golden eagles to herons and pelicans, these wonderful birds roam the Greek skies and can be frequently sighted in Evros, Kerkini lake, Olympus and Pinios. And since we’re talking about water, let’s take a look at how spring touches the Greek sea! Enjoy nature at its best, gazing at the sea from the cape of Tenaros, the southernmost edge of continental Europe. Marvel at a view that will take your breath away! According to mythology, this cape used to host the gates to Hades and in these waters, souls would make their final journey to the Underworld. This hair-raising mythological backdrop in combination with the out-of-this-world view will surely amaze you. It wouldn’t be spring without a lot of green colors, and you can enjoy a feast of green on the banks of river Nestos! Imposing forests thriving with the water supplied by the area’s impetuous waterfalls, villages untouched by the passing of time, fauna and flora at their best! Spring takes over with its brightest colors and winter fades away to a distant memory. So, if you find yourself in the mood to shake away the winter blues and enjoy the most beautiful season of the year, come visit Greece and enjoy nature’s feast that starts from early March! And if you’re feeling like you’re here to stay, this is also the best time of the year to choose your own vacation home and grow roots in this blessed land. Book your own “season ticket” and enjoy the greatest show of beauty and blooming offered by our country each year this time around. Don’t miss out!